All 3mm neoprene with panelled bust shaping and additional crotch gusset. Designed to fit the shape of a woman's body, providing superior fit & comfort. 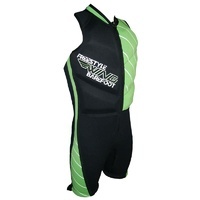 Super soft buoyancy foam adds to the flexibilty of our Ladies suit. 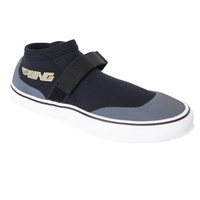 Designed by Australian Waterskiing Women for any Waterskiing Woman. This contoured ski suit gives maximum comfort without losing the performance or looks a Wing buoyancy suit is renowned for.